Alright, now every weekend is an exciting one, but this one might be just a little better than usual! In the mood for R&B? Check out R&B master K-Ci & Jojo at the Wolf Creek Amphitheater on Saturday night. Feeling like a jam band kind of day? Head to Jerry Day at Atlantic Station in honor of Grateful Dead’s Jerry Garcia. Or hit the fairgrounds for Summer Brewfest to try all the bears you can hold! Don’t miss out on what will surely be another spectacular weekend of music and events around you. He might be an England native, but after setting sail for the states to create Americana music, he is now promoting his sophomore effort “Wishbone.” With inspirations coming to the album from the likes of Neil Young and others, Long has created a record unlike anything he has before. Don’t miss his unforgettable show at Eddie’s Attic. For just 5 bucks, you could be laughing all night long at State Theatre. Sound better than your usual Friday night plans? It sure does. For a night filled with old school hip hop and R&B, Wolf Creek is where you need to be. Also appearing with K-Ci & Jojo are Rob Base, Kut Klose, and Rodney Perry. Food and drinks are encouraged, so make a great night of it and enjoy some lovely Atlanta weather along with some fantastic music by R&B bests. Growing up in former West Germany, South Korea, and cultivating a steady fan base in Argentina makes Wesley Cook one diverse musician, as well as having a diverse background. He’s released a critically acclaimed acoustic album as well as a full band album in 2010. Rolling Stone loves him, Georgia Music Magazine thinks he is “the next big thing,” and you may just love him too! 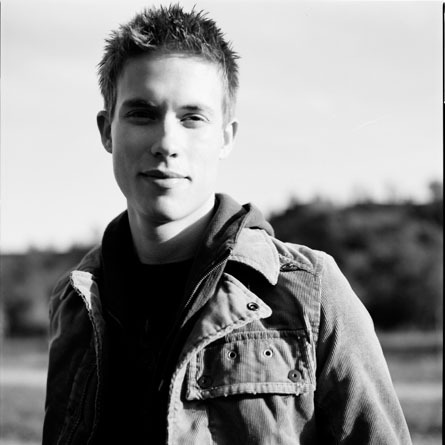 If you are looking for a bit of modern blues with a twist, then Johnny Lang is your man. After having released his debut album at just 15 and then skyrocketing to fame, Lang has been no stranger to the stage since a young age. He’s even played along side Eric Clapton, which is an accolade all to itself. If you are looking for vendors on vendors on vendors of craft beer to try, Summer Brewfest is the place you need to be! Head down to the fairgrounds for a variety of beers both local and international. Jerry Day, remembering the life and times of Jerry Garcia of The Grateful Dead, showcases 8 bands at Atlanta Station. An 8-hour show open to all ages, this isn’t something you will want to miss. The bands performing include Escape Vehicle, High Mountain Ramblers, Swami Gone Bananas, gr8FLdüde & frenz, Jango Monkey, Webster, The Warlocks, and Frankly Scarlett. The early show might be sold out, but hurry and you can still catch the late show for Crystal Bowersox at Eddie’s. Trust me, this show didn’t sell out for no reason. With her newest CD release, even the New York Times is gushing, “She has a keen, finely honed pop instinct all her own.” Her unique combination of blues, country, folk and rock have given her an edge over other artists. Set sail and get ready for the open water with the soft rock tribute at KSU. Even better, students get discounts!